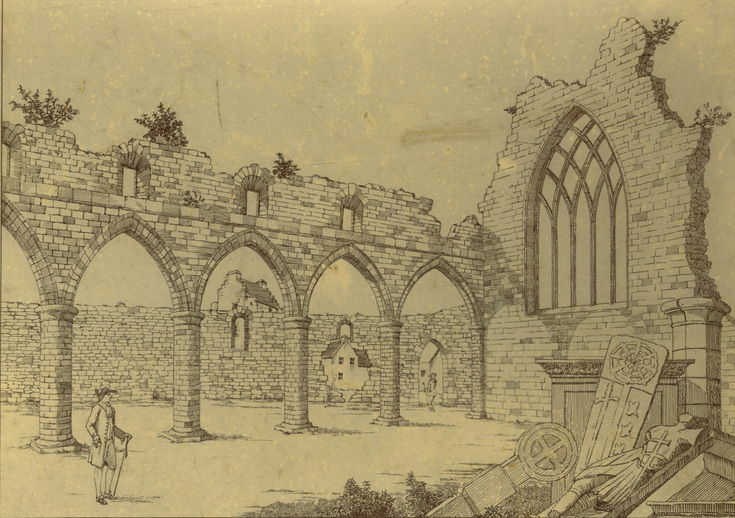 Reproduction of sketch by G Fordyce Anderson drawn from Cordiner's sketch of the ruined nave of Dornoch Cathedral. Architectural details are largely the same but other features have been added to the picture. Cordiner's original dated as 1787 on this version. Has been pasted to a piece of mounting board.